Scott W. Zucker, M.D., F.A.A.P. Jeffrey M. Bienstock, M.D., F.A.A.P. Deborah Steinbaum, M.D., M.P.H., F.A.A.P. Sania R. Perez, M.S., M.D., F.A.A.P. Rosary Kristine Anido, M.D., F.A.A.P. Scott W. Zucker, M.D., FAAP, joined Dr. Namerow in 1984, after completing his Pediatric residency at Nassau County Medical Center. Dr. Zucker attended both College and Medical School at the State University of New York at Stony Brook. The Zuckers live in Clifton and have five children: Jason, Robin, Risa, Philip and Michael. Dr. Zucker was Board Certified by the American Board of Pediatrics in 1984. He, too, is a Fellow of the American Academy of Pediatrics and is also a Preceptor in the New York Medical College Center for Primary Care Education and Research. Dr. Zucker is a past president of The Bergen County Medical Society. Dr. Zucker is the current Director of Pediatrics at Chilton Medical Center and Bergen Regional Medical Center. Jeffrey M. Bienstock, M.D., FAAP, joined the practice in 1988, after completing his pediatric residency at the Schneider Children's Hospital of Long Island Jewish Medical Center in New Hyde Park, New York. Dr. Bienstock previously attended college at Polytechnic Institute of New York and Medical School at Guadalajara, Mexico. His wife is a free-lance artist and designer. The Bienstocks live in Wyckoff with their three children: Troy, Howard and Annie. Dr. Bienstock was Board Certified in 1990 and is a fellow of the American Academy of Pediatrics. Dr. Bienstock is the president of the Northern New Jersey Pediatric Society. Dr. Bienstock serves on the Board of Trustees for the Partnership for Maternal & Child Health of Northern New Jersey. He is an active member in the American Academy of Pediatrics, previously serving as the President for the New Jersey state chapter. He is a member of the national Sections of Administration and Practice Management (previously serving on the executive board), Child Abuse, Media, Telephone Care, Dental and Oral Care and the Steering Committee on Clinical Information Technology. Dr. Bienstock is the previous Director of Pediatrics at Bergen Regional Medical Center. Dr. Bienstock is actively involved with Healing the Children, NJ; serving as its Medical Director. He has participated in multiple medical missions around the world. Dr. Bienstock is the previous Director of Pediatrics at The Valley Hospital. Dr. Bienstock has been named as one of the top pediatricians in the Metropolitan New York area by New York Magazine, the Castle Connelly Service, and most recently, New Jersey Magazine. Dr. Bienstock was recently named New Jersey Pediatrician of the Year. 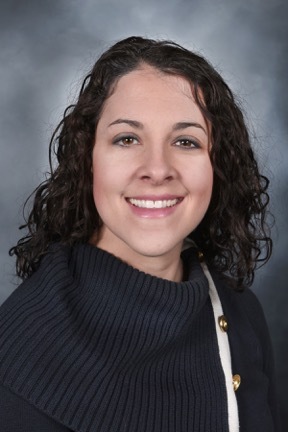 Melissa Chism, M.D., FAAP, a graduate of Texas Tech University HSC School of Medicine, was a resident of Pediatrics at Baystate Medical Center in Springfield, Massachusetts. Subsequently, after completing a year as Chief Resident in Pediatrics at Baystate, she has been a resident in Adult and Pediatric Anesthesia at the prestigious University of Pennsylvania Medical Center. Dr. Chism is thrilled to return to primary care and is pleased to return to the state where she spent her childhood years. Dr. Chism lives in Franklin Lakes with her husband Christian, and their son, CJ. Dr. Chism is presently the school physician for the Oakland School district. Dr. Steinbaum joined our practice in 2012 after working in Northern New Jersey and New York City for many years as a pediatrician. She is a graduate of Harvard College and the Yale University School of Medicine and is board certified in General Pediatrics and Child Abuse Pediatrics. She completed her residency and a subsequent fellowship at the Mount Sinai School of Medicine in New York City, where she also received a Masters in Public Health through a joint program with New York University. Following fellowship, she remained at Mount Sinai as an attending physician. Prior to becoming a physician, she worked for several years in San Francisco in health care administration and research, and she retains an avid interest in public policy. Dr. Steinbaum grew up in Bergen County and lives in Ridgewood, New Jersey with her husband and their two children. Kristina Hetling, M.D., FAAP, joined our practice in the summer of 2005, after completing her residency in pediatrics at Children's Hospital of New York-Presbyterian at Columbia University. Dr. Hetling attended college at John Hopkins University, followed by medical school at New York University School of Medicine. Upon graduation from NYU, Dr. Hetling was elected to the prestigious national medical honor society, Alpha Omega Alpha. Dr. Hetling has experience in International Adoption, as well as providing health care to rural populations in Puerto Rico. Dr. Hetling lives in West Caldwell with her husband and two children. Tatiana Lin, M.D., FAAP, joined our practice early in 2006, after maternity leave and time off following the birth of her third son. Dr. Lin received her M.D. at the Minsk State Medical Institute in Minsk, Belarus and followed her training with two years of Neonatology and thereafter two years of pediatric infectious disease . After moving to the United States, she completed her residency in pediatrics at Morristown Memorial Hospital in Morristown, New Jersey. The Lins live in Hillside with their three sons. Lauren Brucia, M.D., FAAP, joined our practice in 2007. She attended Wake Forest University, followed by medical school at UMDNJ-The New Jersey Medical School. After completing her residency in pediatrics at The Children's Hospital of Philadelphia, Dr. Brucia joined the faculty as Attending Physician in the Department of General Pediatrics, as well as being an instructor in pediatrics at The University of Pennsylvania School of Medicine. In addition, Dr. Brucia has international medical experience, having been involved in programs in Cuba and the Dominican Republic. Dr. Brucia is married to Neil Jasey, MD, who is a Traumatic Brain Injury specialist at The Kessler Institute of Rehabilitation. They live in Upper Montclair with their two children. Lorraine (Lori) Liberti, M.D., FAAP joined our practice in 2011. Dr. Liberti attended Cornell University followed by medical school at Columbia University. After completing her residency in Pediatrics at Children’s Hospital of New York-Presbyterian, she has been practicing Pediatrics in Bergen County for nearly 20 years. One of the most well-respected Pediatricians in our area, Dr. Liberti will be working in all three of our offices, including our second evening on Thursdays in our Pompton Plains office. Dr. Liberti is looking forward to meeting many new patients as well as patients who she has known for years in practice. Dr. Liberti lives in Glen Rock with her husband Francesco and their three children Isabella, Claudio and Alex. Leah Alexander, M.D. FAAP has been at Pediatricare Associates since 2005 after working at Elizabeth Pediatric Group for 5 years. She is a graduate of Kalamazoo College and Michigan State University College of Human Medicine, and is board certified in General Pediatrics. She completed her Pediatric residency at Overlook and Morristown Memorial Hospitals of New Jersey. Outside of Pediatrics, she has an interest in culinary arts. She attended the French Culinary Institute, following which she owned a catering business.She currently lives in Fairview. Sania R. Perez, M.S., M.D. joined PediatriCare Associates in the Spring of 2013. She has been working in Northern New Jersey and New York City for many years as a pediatrician. Sania is a graduate of Brown University and Mount Sinai School of Medicine and is Board Certified in General Pediatrics. She completed her residency at Boston Medical Center and Children’s Hospital in Boston. Sania became a Clinical Instructor for the Department of Pediatrics at Mount Sinai School of Medicine. In 2004 she became an Assistant Professor for the Department of Pediatrics of Mount Sinai School of Medicine. Dr. Perez lives in Ridgewood, N.J, with her husband and two children. Jessie Long, M.D. F.A.A.P. joined our practice in 2014. She is a graduate of Lafayette College and Jefferson Medical College. Jessie did her residency at Yale-New Haven Children’s Hospital and is board certified in general pediatrics. Following residency, she worked at a Pediatric practice in Hamden CT as well as the St. Raphael's Campus of Yale-New Haven Hospital, where she served as associate director of the newborn nursery and medical director of the pediatric primary care center. She is also an assistant clinical professor of general pediatrics at Yale School of Medicine. Jessie grew up in Ridgewood and now lives there with her husband and their three children. Sapna Shah, M.D. joined our practice in 2014. 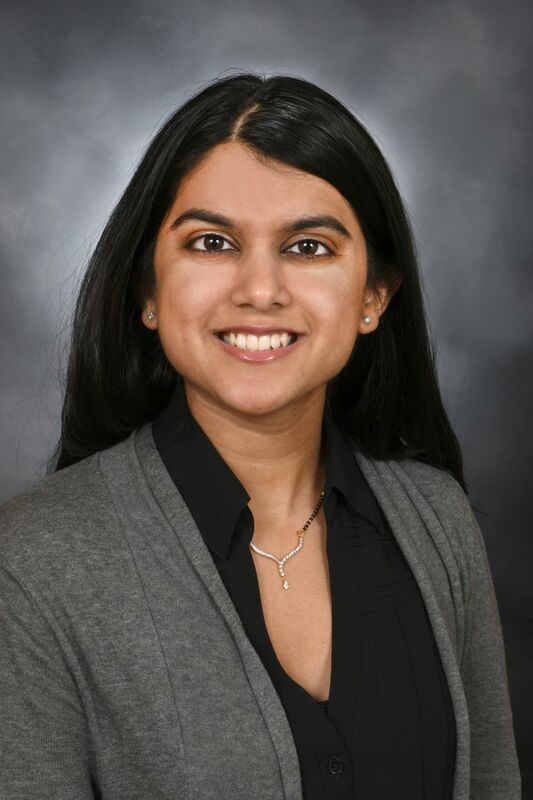 She is a graduate of Rutgers University and UMDNJ-New Jersey Medical School in Newark, N.J. Sapna completed her Pediatric Residency at New York University School of Medicine. She resides in Jersey City with her husband. Heather Shafi, M.D., joined our practice in 2015. She is a graduate of Haverford College and UMDNJ-New Jersey Medical School. Heather did her residency at Yale-New Haven Children's Hospital. She also serves as Medical Director of Dragonfly Forest Camp, a camp for children with autism, 22q deletion syndrome, sickle cell disease, hemophilia, von Willebrands disease, and persistent asthma. She grew up in Watchung, NJ and currently resides in Cedar Grove with her husband and their son. Denise Infante, M.D. F.A.A.P joined our practice in the Fall of 2017. She is a board-certified general pediatrician who graduated from St.John's University followed by Ross University School of Medicine. She completed her internship at St.Joseph's Children's Hospital in Paterson, NJ and her residency program at Long Island College Hospital and Beth Israel Medical Center in New York City. Denise dedicated twelve years to the underserved areas of lower east side of Manhattan. She worked at Gouverneur Healthcare Services, an NYC public health facility, as well as an attending physician at Bellevue Hospital. She became a regular medical expert for television programs including Univision, Telemundo, NY1, ABC, and NBC. Denise grew up in Queens, NY and is presently living in Bergen County with her husband, son, and daughter. Tara Daly, RN BSN IBCLC is proud to be a part of the Pediatricare family, supporting new families as they embark on their parenting journey. Tara began her career in women and children’s health as a labor and delivery nurse at Hackensack University Medical Center for fifteen years. Tara became certified as an Internationally Board Certified Lactation Consultant (IBCLC) in 2012 and opened her private business, Nourish My Baby LLC, providing in home lactation consultations to families in northern New Jersey. Tara also worked as the IBCLC and taught Lamaze, newborn care and breastfeeding classes at Hackensack University Medical Center at Pascack Valley. Tara has been part of the Pediatricare staff since 2016 and is available to our patients for office consultations three days a week at various locations. Meghan Schlitt, MD., joined our practice in the summer of 2018, after completing her residency in pediatrics at the Children's Hospital at Montefiore in the Bronx She is a graduate of Lafayette College in Easton, PA and went to medical school at Jefferson Medical College in Philadelphia. Her husband Tom is also a physician, in orthopedics, and they live in Lincoln Park with their baby boy. Rosary Kristine Anido, M.D., FAAP, joined our practice in 2018. She is returning back to New Jersey after years of working as a Pediatrician in White House Clinics in Kentucky. She completed residency in St. Joseph’s Regional Medical Center. She graduated from University of Santo Tomas, Philippines where she obtained both her Bachelor of Science in Medical Technology and Medical Degree. She currently lives in Wood Ridge with her husband Daniel and stepson Danny.